When I was a kid I assumed that cinnamon was sort of opposite of mint. I reasoned that this was a basic and irrefutable rule of the universe. Cinnamon possessed heat through spice as obviously evidenced through cinnamon tooth picks we bought at the local candy shop and the warm sensation and flavor cinnamon imbued when I sprinkled it over applesauce or my peanut butter toast. It made logical sense to me that the heat of cinnamon was therefore the opposite of the chill inducing mint. Simply put: cinnamon = hot. 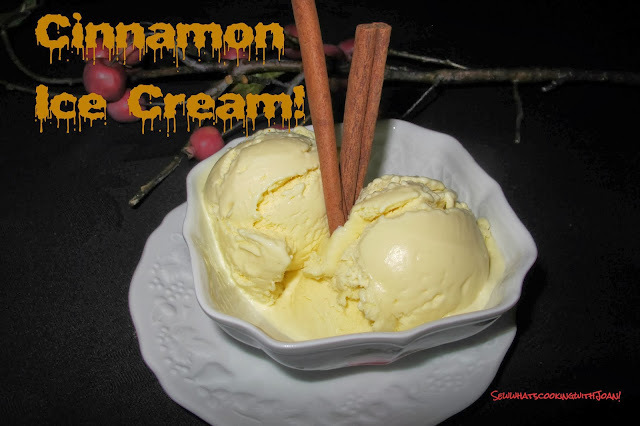 I find it to be an intriguing trick of the mind to make cinnamon ice cream. 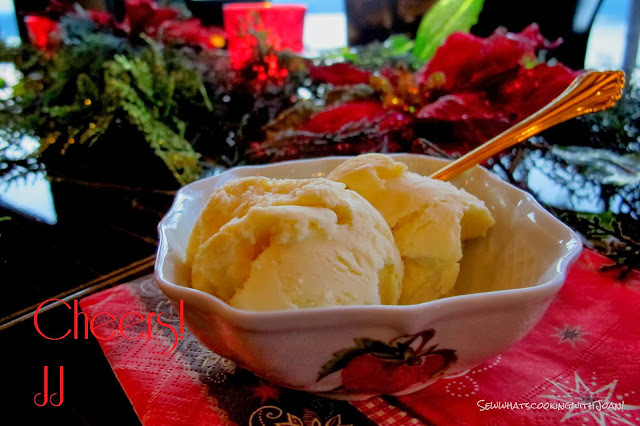 A chilly treat with a fragrant, spicy glow that sort of buries itself in your stomach and fans embers through your body. Hot and cold all wrapped up into one frozen scoop. 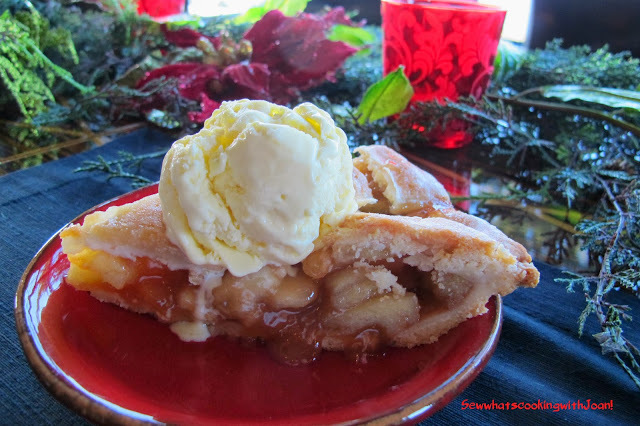 This ice cream is a wonderful alternative to vanilla ice cream when served with apple pie or stewed apples or even a Pear Tart. Yum! 1. Heat the milk, sugar, salt, cinnamon sticks, and 1 cup (250ml) of the heavy cream together in a medium saucepan. Cover, remove from heat, and let steep one hour. 2. Rewarm the mixture and remove the cinnamon sticks with a slotted spoon. 3. Nest a medium-sized bowl in a larger bowl that’s partially filled with ice water, to create an ice bath. Set a mesh strainer over the medium bowl and pour the remaining cream into the medium bowl. 4. Whisk together the egg yolks in a small bowl and gradually add some of the warm cinnamon-infused milk to the yolks, whisking constantly. Scrape the warmed yolks back into the saucepan and cook over medium heat, stirring constantly and scraping the bottom with a heatproof spatula, until the custard thickens and coats the spatula. 5. 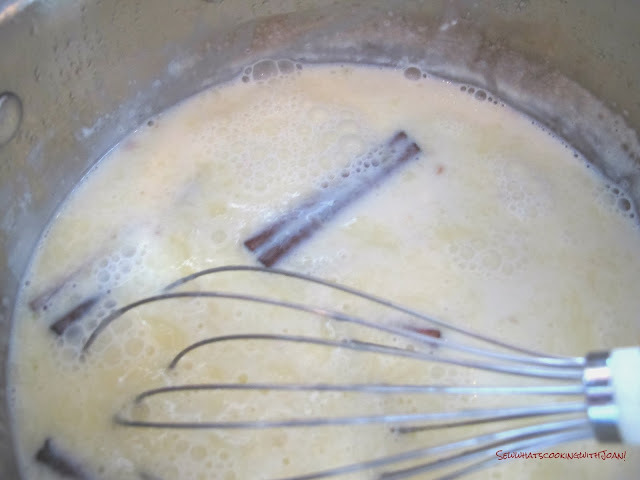 Remove from heat and immediately pour the custard through the strainer into the cream. Stir the custard until cool, then chill thoroughly in the refrigerator, preferably overnight. 6. 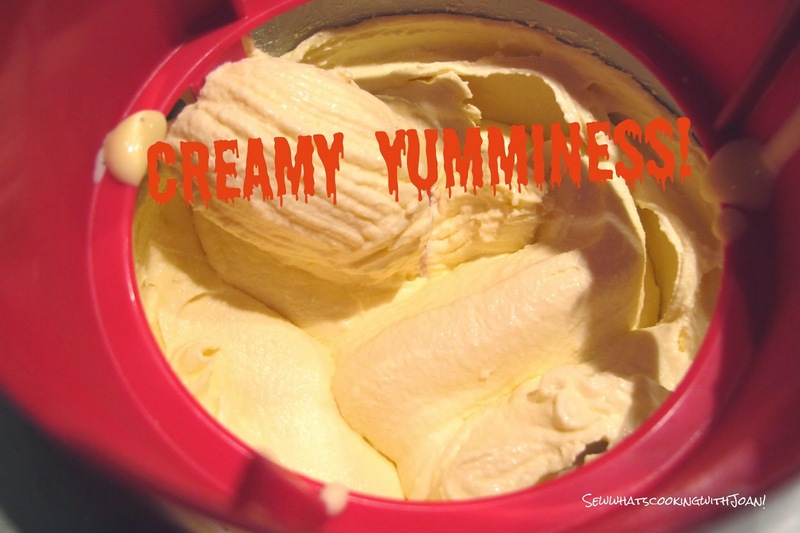 Taste the mixture before churning, and add a bit of ground cinnamon, if desired, then freeze the custard in your ice cream maker according to the manufacturer’s instructions. This ice cream was one of the most delicious ice creams I have eaten. I know, I know....I'm a self professed "Chocoholic", but, let me tell you this is delicious and a nice alternative to chocolate. I thought of another way to serve it too! How about with a tortilla cut into wedges, fried crisp and sprinkle with sugar and cinnamon!! Double HOT!!Yum! !